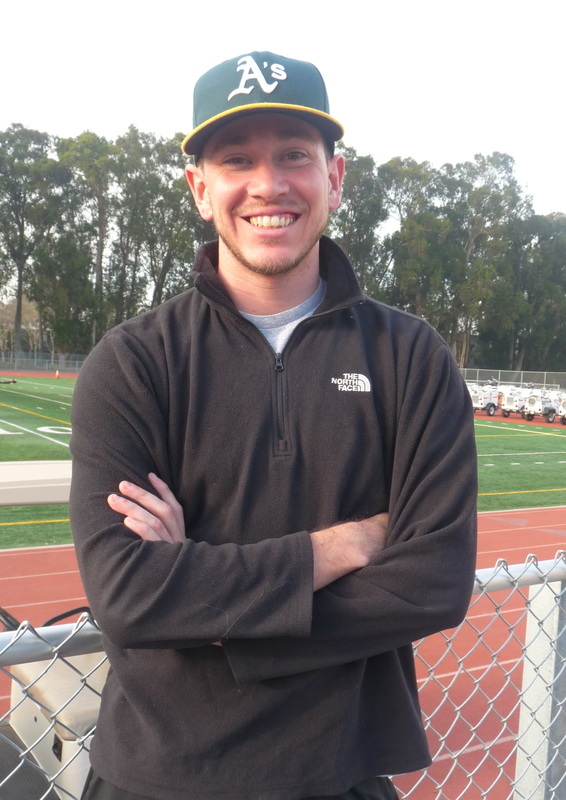 I am the Sprints Coach for the SMHS Track Team. Always working to accommodate others and that most definitely passes down to the athletes. It’s probably why I go by so many names — call me what you like, I respond to any and all of them: Coach, Jon, Ocon, Jonathan, Road Runner, or for my latins, Coach Blanco/Wedo! Class of ’09 (So Fine) San Mateo High, was on the track team all four years where Coach Pixie was a fellow teammate! I specialized in the 400m (the best race there is) but also saw some fun times in the 100m, 200m, 800m, 4x100m, 4x400m, Discus, and the one and only 300mH of my short career. Went on to study Sustainability Planning at the University of Southern California (class of 2013) and recently moved back home to San Mateo. I currently run a small business, Concrete Couture Designs, that specializes in logo & branding design as well as any mapping/GIS products. As I venture through my self-proclaimed quarter-life crisis, I find a lot of purpose coaching and working with others to strategize and improve on previous marks. This is the best work there is — dare ya to find something better! Here’s to a great season and Go Bearcats!